America. Dream Land. Land of the free. This is how non-Americans see this country. Blessed with a wealthy and strong government, immigrants consider America as the answer to their hopes and dreams. But that is not easy because you need to go through legal process to be able to step on the American soil. 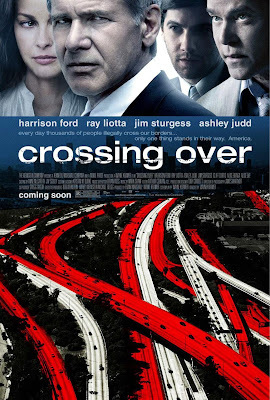 Crossing Over is a 2009 American independent drama film about illegal immigrants of different nationalities and races struggling to acquire legal status in Los Angeles. The film deals with the border, document fraud, the asylum and green card process, work-site enforcement, naturalization, the office of counter terrorism and the clash of cultures. 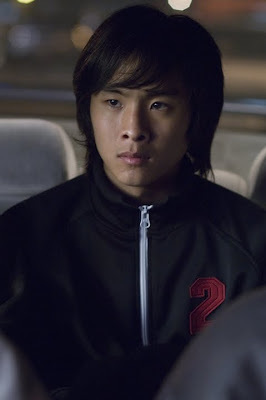 It tells an intersecting storyline between different characters including a single mother deported without her child; a high school girl whose provocative essay draws FBI attention; an actress who willingly prostitutes herself to earn her green card; a struggling musician trying to build a career while working his day job; and finally, a Korean teen caught between two worlds, while his family is desperate to naturalize. The story is well written and despite the intersecting storylines, movie viewers will not get confused on how every characters are stitched together. Because of the independent nature, minimal cast helps a lot on establishing focus and connections between different characters without being so overwhelmed with big names. 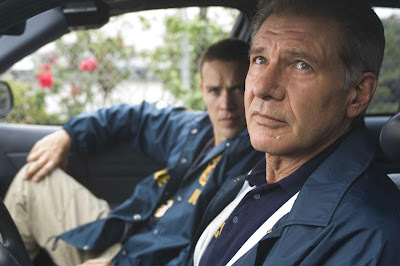 Having Harrison Ford as Brogan, Ashley Judd and Ray Liotta as Denise and Cole Frankel and Jim Sturgess as Koseff are enough big names for the lineup. I'm expecting that Filipinos will be included on the story because let's face it, Filipinos are also notorious when it comes to immigration issues. But maybe Filipinos had already established a good reputation abroad not to mention the big filipino community there and most of our kababayans now really prefer to get a green card in more legal way compared before. On acting, Summer Bishil who plays Taslima Jahangir and Justin Chon who plays Yong Kim stand among the rest of the ensemble cast. Summer and Justin's approach in acting gave the film's heart and soul. The intensity of dialogue release will really hit you right in to your core. On the other hand I will also want to give acknowledgment to Jim Sturgess. No doubt he is a good actor. I already saw that since the time I first saw Across the Universe and 21. Jim still fascinates me with his singing prowess and his versatility where he can do great in both drama and comedy. This film is a must watch. It tells a very relevant issue in the society that extends to all people of different races and nationalities. Two Thumbs up to Wayne Kramer for writing, producing and directing this masterpiece. Crossing Over will be shown exclusively on Ayala Cinemas this coming September 16, 2009 brought to you by MGM, The Weinstein Company.